No more casual games for Mobile; Razer's coming! Razer, a brand whose name is known by most gamers is a gaming company which produces gaming laptops and computing peripherals like gaming mice, keyboards, and headphones. While it is at the top at what it does, according to recent statements by the company’s CEO Tan Min-liang, it seems that they are going to change course or to be more exact, they are going to get expand their business, and that too by entering the mobile gaming industry. The CEO Tan Min-liang stated that mobile gaming is “going to be a huge part of out business”. Tan also said that Razer had an enormous opportunity to disrupt the mobile market as there were no such mobile device or software platform which allows complete fulfillment of the needs of a mobile gamer. We could have gotten a hint of this already as Razer occupied Android gaming company Ouya in 2015 and Nextbit, the latter being the more latest acquisition. And that’s not all. 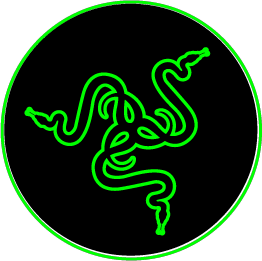 Razer has also entered into a partnership with telecommunications firm “Three Group”, which will enable them to provide consumers with special offers like tariff plans, and mobile gaming devices. Razer also has put in the former HTC lead designer who headed the designing of HTC phones for several years. As such Razer seems to be ready with acquisition of the several mobile gaming companies, partnering with top-tier telecommunication giants and having talented individuals in its team. The CEO also added that they had “the top tech leads of Android from Google” with them. But do you think, this new venture of Razer will be a success? Or will it end in failure. Share your thoughts down in the comments! Google Wifi: Yet Another Google Innovation! Bixby Voice Finally Coming: But Does That Matter? LG G7: LG's Next Move May Be Pretty Big! Eve V Laptop Review: Should You Buy It? HP Omen 17 Review: Should you buy it?